Quercetin is a bioflavonoid, a class of nutrients found in plants, with anti-oxidant properties; it also appears to display the same effects as caffeine, just at a lower level. 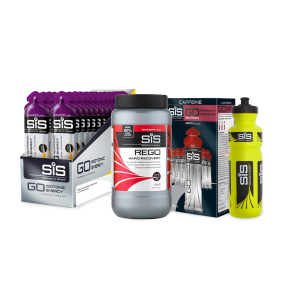 Daily supplementation in the range of 600-1000mg quercetin has been shown to improve VO2 max, endurance capacity and time trial performance during cycling trials. Additionally, a significant reduction in c-reactive protein, a protein in the blood plasma which rises in response to inflammation, has been measured with the co-ingestion of quercetin and green tea. Consume 3 tablets per day. Additionally, a significant reduction in c-reactive protein, a protein in the blood plasma which rises in response to inflammation, has been measured with the co-ingestion of quercetin and green tea. 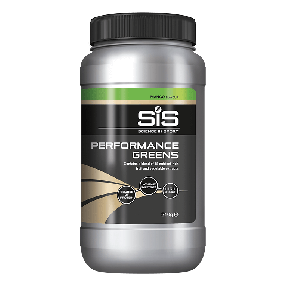 These performance benefits and positive impacts on athlete health, makes daily quercetin and green tea supplementation a good option for endurance focused individuals. What Quercetin and what does it do in the body? Quercetin is a bioflavonoid, a class of nutrients found in plants, with anti-oxidant properties; it also displays the same effects as caffeine, just at a lower level. Supplementation with quercetin has also shown beneficial effects on endurance performance (1, 2). What is Green Tea and what does it do in the body? Green Tea is an unfermented tea, which exerts potential health benefits through water-soluble polyphenols. 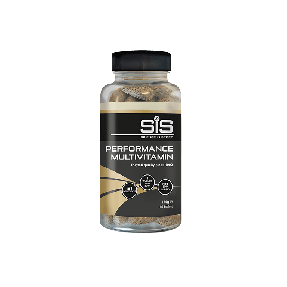 Supplementing with Green Tea Extract (GTE) is often undertaken in relation to body composition goals, GTE has been proposed to increase fat oxidation at rest and during exercise. 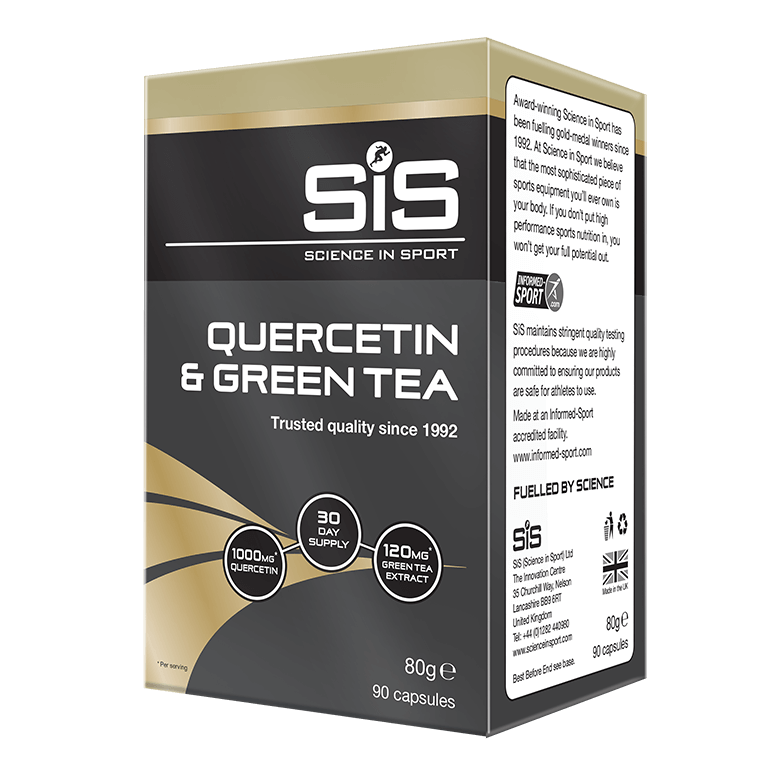 The Science in Sport Quercetin & Green Tea has been formulated alongside Team Sky to deliver an effective dose of quercetin and green tea, to support: athlete health, body composition goals and exercise performance. When should I take Quercetin & Green Tea? 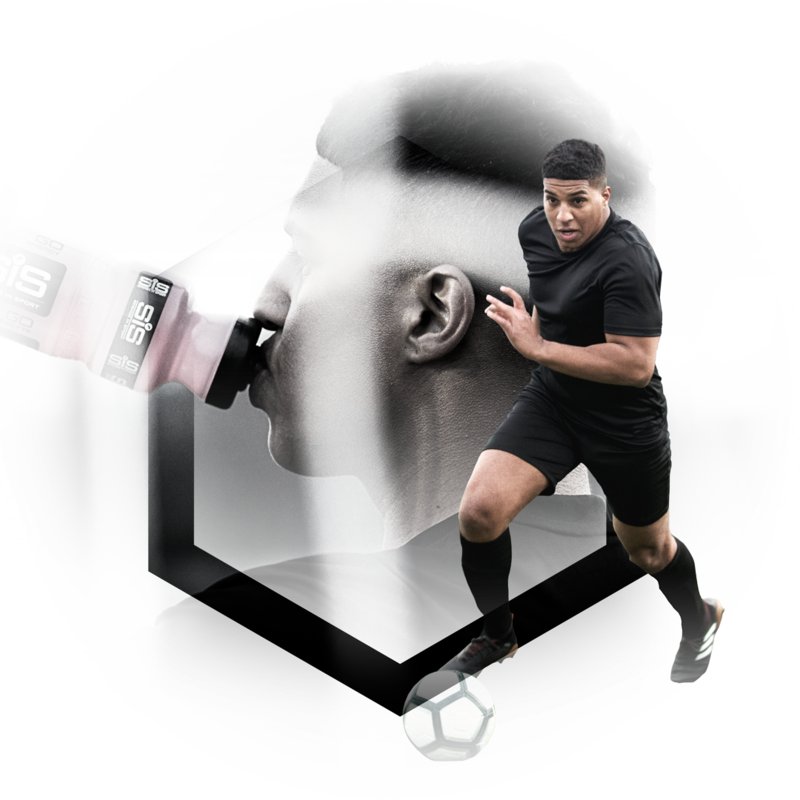 Yes, Science in Sport Quercetin & Green Tea is tested under the Informed Sport programme.